If you want me to be honest with you then I don't see any fighter hitting canvas. But when it comes to Canelo fighting backwards.......man this could cause him trouble due to GGG jabs. Will be interesting to see how big Canelo will be in the ring. Jacobs was pretty big and was constantly trying to out box GGG going backwards, which he did very well. GGG is a hard puncher so I can see initially Canelo will win the rounds but later on he will start to feel those punches which will will slow him down. I was about to post "guru ho ja shuru" and here you are. Great analysis as always. Here are some Canelo knockouts. I saw GGG knockouts in another thread so those should also be posted here. Here's my take on this fight. In first 4, 5 rounds both fighters will be cautious and learning the opponent. It will be full on cagey. After that GGG will start his engine which will take Canela another round or two to adjust. This is where Canelo will start throwing counter punches which he is good at. GGG has to make sure that his aging body can take counter punches well otherwise its gamer over. One thing I cannot stress enough for Canelo that he should staff off the ropes as much as he can otherwise GGG will pounce hard. This will spell disaster for Canelo. I will also advise GGG to respect Canelo and not to take him for granted. 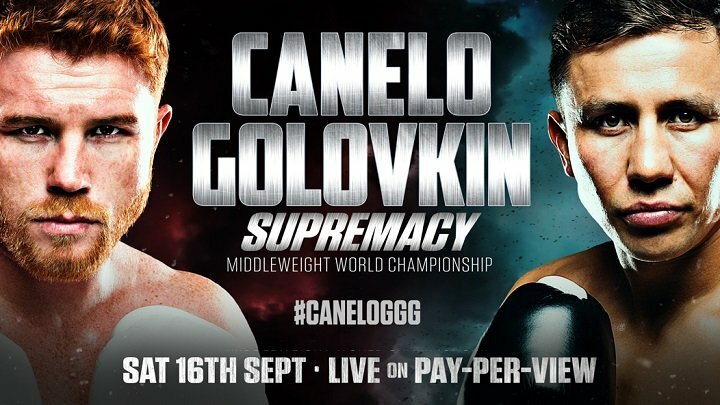 This could result in TKO for GGG (I don't see any KO in this match)Canelo might gas a bit in later round which will help GGG as he will take advantage of it by start jabbing hard. All I can say that "THE END IS NEAR!" GGG has never fought a counter puncher who is even remotely as good as Canelo except for may be Jacobs. He will get caught with much much stiffer shots that he's ever been caught with before, that's a given, whether he eats them up like breakfast and smiles we will see. Jacobs packs a lot of power and he threw everything he had at GGG but couldn't rattle him. But Canelo is a cut above the rest as he can put GGG to the canvas if punch timing is right. No doubt GGG is favourite but this is undoubtedly his hardest test. Won't be surprised at all if both men hit the mat at some point in the fight. Quote: I'm not betting on Canelo, but I can see how people would think he can win. I think its as close to a 50-50 as I can recall. Accusations of any judging and crowd bias aside, Canelo throws better combinations, has better upper body movement, has been tested more frequently in his professional career, is younger, had to drain less weight than he is used to (ergo, fresher, feeling better than usual), has naturally good defense against body hooks (which is one of GGG's best weapons) and is a better counter-puncher than GGG. He ticks a lot of boxes. Will it be enough? Maybe. do u guys know who controls one of the most important aspect which is keeping distance with accurate jabs.....that's right GGG. So now we know Canelo can land some good combos but GGG can keep distance and still mount pressure. GGG outpaces Canelo (not much difference though as age is catching up) whose back foot fight is not up to the mark. Canelo will be worn down from pressure as slowly and gradually GGG punches will take its toll. my prediction......GGG wins by TKO in round 10! Sorry to disappoint everyone but the only logical conclusion is Canelo winning by points. There will be no KO or TKO in this match.